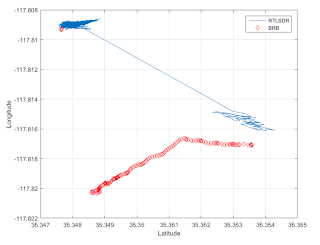 Software Defined GPS: Paul Breed Rocket Flight Test Data #2: PROGRESS! I GOT A gnss-sdr PVT SOLUTION IN FLIGHT! I removed spurious readings from the GPS tracker: these are easy to identify because the GPS time is out of sync. The long red and yellow lines connect the dots from the last good reading on the pad to the first good reading in flight, and are not representative paths per see. 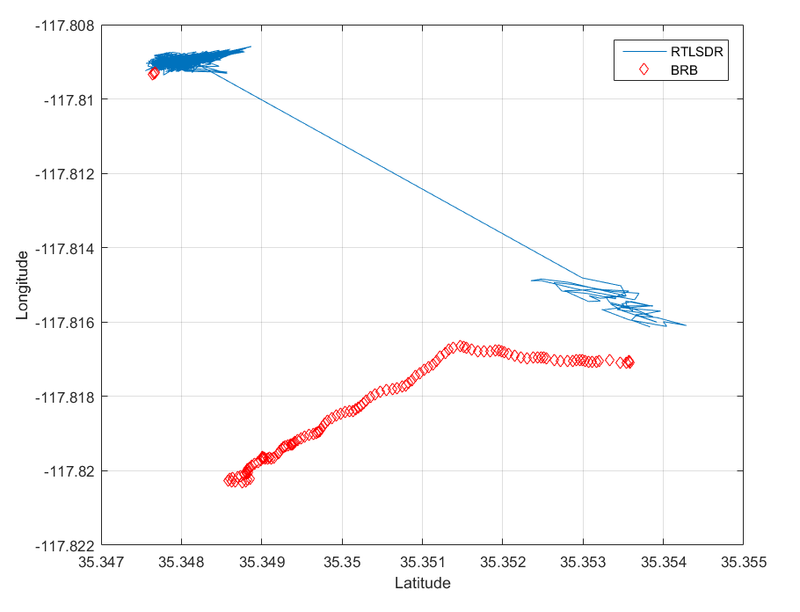 If we assume data to be correct it appears the RTLSDR acquires a navigation solution at a higher altitude than the BRB, which based on the speed and drift is operating under chutes. 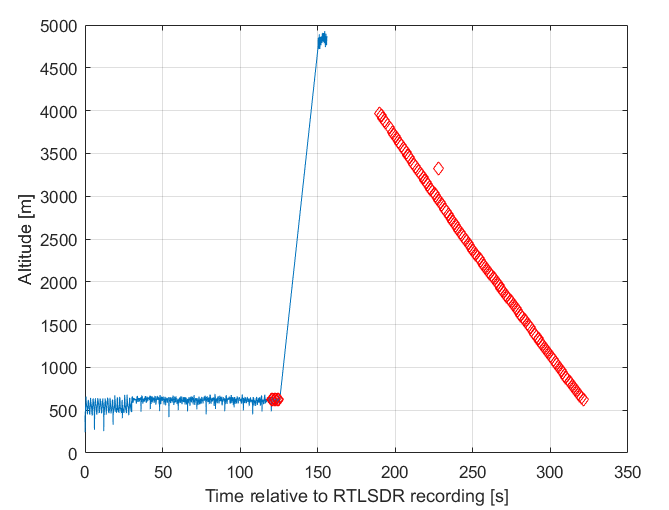 Next up I extracted the the lat/lon/alt from the PVT solution generated by GNSS-SDR (again, the blue line is just connecting the last good fix on the pad with the first good fix in flight). 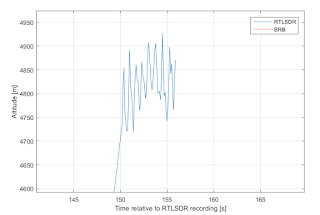 The data is aligned with the last good fixes for both the RTLSDR and BRB. 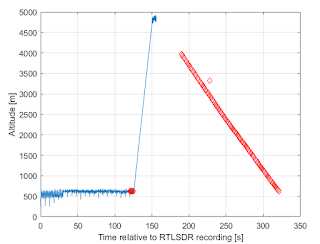 The rocket pops the nosecone at apogee to deploy a drogue chute, at which time the nosecone is swinging in the breeze and we don't anticipate getting any data from the RTLSDR because the directional antenna is no longer pointed up. 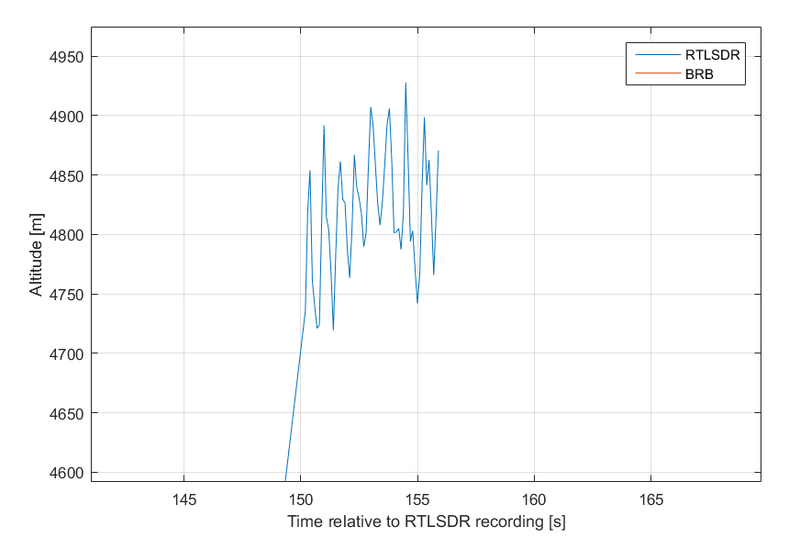 However the BRB is expected to get a fix under chutes, when within the CoCom limits. My thesis is that we get a valid GPS solution about 7 seconds before popping the nosecone and deploying the drogue, which then causes us to lose track on most of the satellites and thus lose our navigation solution. Indeed, the rest of the flight is filled with messages of acquiring and subsequently losing acquisition of satellites. Loss of lock in channel 5! Loss of lock in channel 6! Loss of lock in channel 3! Loss of lock in channel 0! Loss of lock in channel 4! Loss of lock in channel 7! 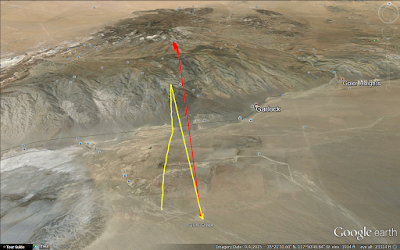 Therefore, based on the output and plots, I believe liftoff takes place at 151 seconds, engine burns for ~ 5-6 seconds (highlighted in yellow), with apogee occurring at 182 seconds, or roughly 30 seconds on ascent. 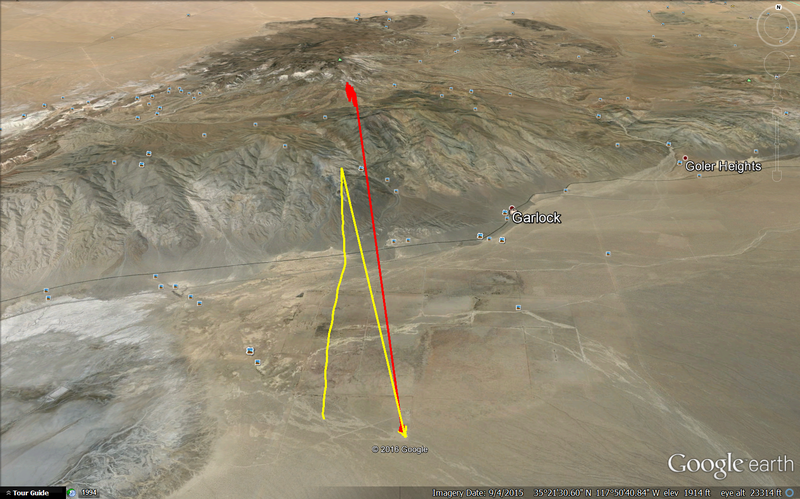 Apogee of ~ 4850 meters ASL. The numerous subframes from 163-182 seconds show we are still getting some meaningful data which could be interpreted by a fft-based approach like fastpgs. 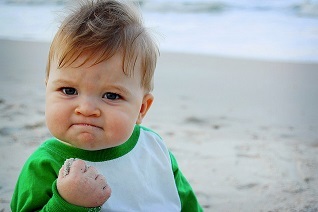 I lowered the bandwidth of all 3 tracking loops by roughly half. Previously I had increased the bandwidth on the loops figuring more bandwidth = ability to deal with rapid shifts in phase/frequency but my intuition was incorrect. I'm still a DSP newbie but I am learning. There is an issue with the images. Could you fix them please? Otherwise great article! Randu, the images render fine under Chrome, what browser are you using? You may see images stores in local cache on your computer. Try to clean the cache and then you should see the page without images.